To the last point I’d like to add: Take the conversation offline if you really want to have someone as a real contact for the future. There’s a huge difference between a Linkedin connection and someone you have spoken to on the phone or even better had a coffee with. Are you struggling to grow your network with meaningful connections on LinkedIn? Perhaps you have hundreds of connections but have been unable to do anything productive (or profitable) with them. 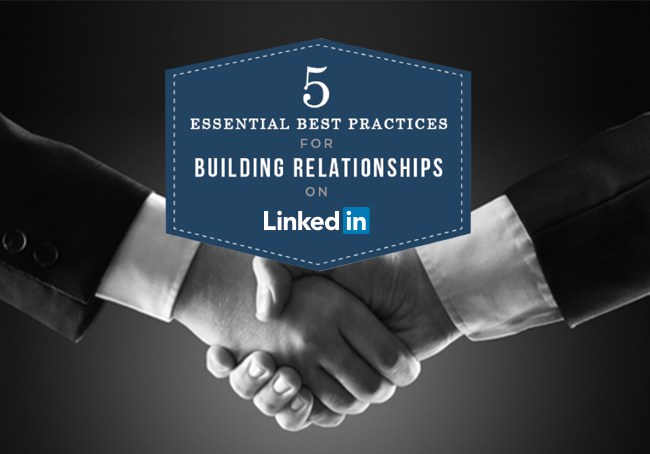 LinkedIn is most effective when you use it as a relationship-building platform. You can quickly grow a healthy network of relationships that will increase your sales lead generation by changing how you view your LinkedIn connections and by changing how you approach them. Here are 5 essential best practices you need to follow when developing relationships on LinkedIn.